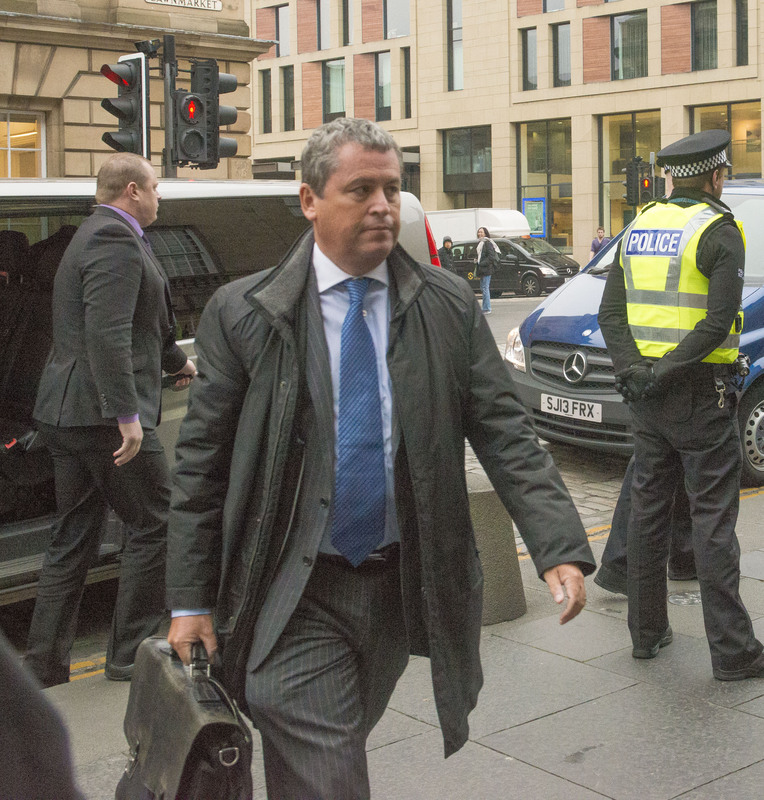 What was anticipated as the biggest fraud trial Scotland had ever seen began to unravel when messrs Keegan and Robertson were given the levers of state. The former, Jim Keegan, who had been disqualified as a director for fraudulent trading, should have been nowhere near a case of alleged economic crime. Keegan was almost sent down for contempt of court. By briefing the press that other charges would be prosecuted against those indicted, Keegan was clearly in contempt. He sent his deputy into bat for him. He was so incompetent that he was eventually replaced. As per David Whitehouse’s assertion, jj passim: The Curious Case of The Missing Missive, did Keegan take silk and not disclose his nefarious past? Jim Robertson, who was a sergeant flatfoot working a beat, was suddenly elevated to the rank of Detective Inspector and assigned to Police Scotland’s Economic Crime Unit. A crime unit where he effectively ran the show as his line superior was working full-time on integrating what was once Scotland’s biggest police force, Strathclyde Police, into the Scottish Executive’s new model for policing, viz Police Scotland. Robertson had no grounding or training in economic crime. He was wont to sing ‘The Billy Boys‘ to intimidate witnesses. When Imram Ahmad stated that he would not get a fair trial in Scotland he was referring to Jim Robertson and his fellow ‘Billy Boys.’ He need not have gone into exile. As Charles Green confided to me, Robertson and his team made the Keystone Cops look like consummate professionals. Robertson is an avid devotee of the gay Rangers site, Follow Follow. Jim Traynor is known to post comments on this site under an alias. Traynor was working for King, posting information that King had acquired for £25,000 from hacker William Stevenson. Any prosecution of Stevenson would have led directly to the door of King and his factotum Traynor. In an abnegation of his responsibilities as a Detective Inspector, and de facto leader of the Economic Crime Unit, Robertson let his Rangersitis get the better of him and duly chose not to prosecute all three, despite Stevenson being caught bang to rights. COPFS dropped all charges. This was a mind-numbing Rangers-facing decision. Robertson was pursuing a case that was predicated on Traynor’s Charlotte Fakeovers leaks on Twitter, and Follow Follow. He even travelled to Johannesburg to meet up with his hero King and gain access to his farrago of hacked data. King was trying to undermine Green by linking him to White. King, with Captain Incorrigible Richard Gloryhole Gough, were pursuing a course where Rangers supporters would send their season ticket money to an escrow account which he would then use to bartar his way to Chairman. To achieve this audacious goal he had to discredit the incumbent regime. When Robertson and his team of Keystone Cops had swallowed King’s bait, he sat back and laughed his arse off as Police Scotland rag-dolled Green and his co-accused. King, and those who assisted him, should be charged with perverting the course of justice. Was Murray King’s bag man? Almost certainly. King, Murray and Traynor should all be indicted. “David Whitehouse’s case against the Lord Advocate et al was to be heard in Edinburgh tomorrow by Lady Wolffe. Isn’t the Lord Advocate called Lord Wolffe or James Wolffe QC to his intimates? Guess who’s he’s married to – Lady Sarah Wolffe! Presumably some moronic clerk when allocating the cases didn’t join the dots. Just in time the baton has now been passed to Lady Wise. Had the clash not been noticed, Whitehouse, the very busy Managing Director of Duff & Phelps Manchester office, would have turned up in Edinburgh and the case would been adjourned until a new judge could be allocated. This is the Scottish legal system at its finest. Mr Whitehouse is seeking Summary Decree on the grounds that the police have failed to provide any substantial evidence to counter his claim that their actions were malicious and dishonest. The Lord Advocate is claiming immunity for him and his minions but Whitehouse is seeking legal debate that immunity is forfeited when the prosecution was seen to be malicious and dishonest. The Crown will always argue they acted in good faith but Whitehouse & Co’s legal team will present reams of evidence that this is not the case. Whitehouse will also claim that the police relied on statements taken from former Rangers director Phil Betts. Yet it appears that of the 13 statements Betts gave, not one of them mentioned David Whitehouse. HMRC have made it clear that Betts lied to them when he claimed that he had no knowledge of the infamous Ticketus deal yet still the police relied on him to condemn Whitehouse. Other sites deal in speculation. Some of them are cryptic and creatively phrased. This site provides real insights and exclusives. The Sitonfence Speakeasy is widely read in chambers. Its coming to the end of the road for wee DCI Jimmy Robertson. He won’t get a job in Woolworths by the time Whitehouse, Green et al have helped relieve Police Scotland for the best part of forty million pounds in damages and dishonestly claims.